UK Versity’s summer Graduation ceremony was held on Friday, 28th July at the St. Thomas Centre, Ardwick. Amongst their graduates were nearly 100 ATHE learners who have successfully completed their studies with UK Versity, with many now progressing onto a wide range of further education. This includes a BA in Business Management, Bachelors in Computing Systems, MSc in Hospitality Management and MBA Top-Ups. 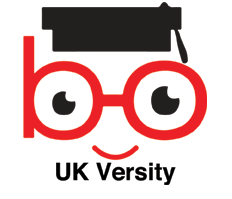 UK Versity Online offer a variety of ATHE qualifications, carefully chosen for their industry related content. Their online learning platform combines the use of video, online presentations, webinars, and interactivity to deliver the courses. ATHE is dedicated to offering progression routes to their learners and enabling them to continue their studies with ease. As a result, there are an excellent range of progression opportunities from ATHE qualifications to University.